John Moses Browning is a name that every gun enthusiast should know. He is the father of dozens of designs that are still in use today, from the 1911 pistol to the M2 heavy machine gun. The last design of J.M. Browning has been called many things; originally it was called the ‘Grande Puissance,’ the GP35, and the P-35. The Browning Hi Power is the most commonly accepted name for the design finished nearly ten years after Browning’s death. Throughout his life, J.M. Browning had a close relationship with Fabrique Nationale de Herstal. In 1926, he was working on a self-loading high-capacity pistol for the French Army when he collapsed and died in the workshop of his son, Val A. Browning. Sitting on the bench was the unfinished P-35 project. His assistant, Dieudonne Saive, picked up where his teacher left off and finished the pistol in 1934. Saive added the 13-round double-stack magazine and worked out other features that were incomplete when Browning died. Once the P-35 was completed, it quickly gained a reputation for being a durable, no-frills combat weapon, and was eventually adopted by more that 50 countries. It still serves as the primary sidearm for the Canadian Armed Forces. 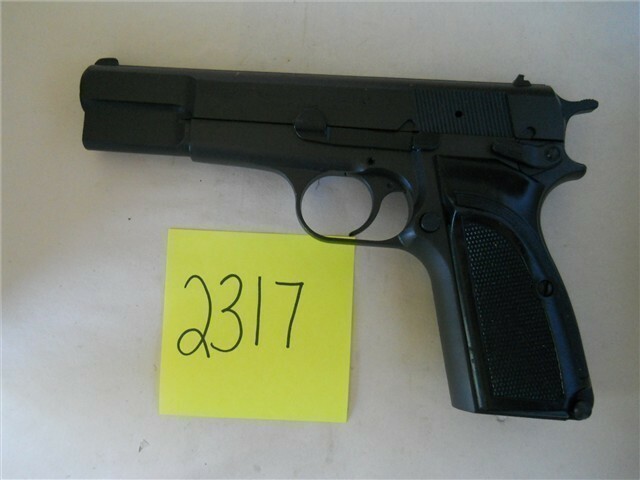 The Browning Hi Power was only recently replaced by the British Armed Forces in favor of the Glock 17. It really is amazing that one style of pistol has been in use for more than 50 years, largely without being modified. The Browning Hi Power has the odd distinction of being the only pistol produced and used by both the Allied and Axis forces during World War II. The Waffen SS and the Fallschirmjager (paratoopers) were issued the pistol, referred to as the Pistole 640(b). German forces manufactured approximately 320,000 of them after occupying Belgium and France in 1940. On the Allied side, the P-35 was the standard sidearm of the British Commonwealth Nations. The John Inglis Company of Canada built the P35 in Toronto for the Canadian Expeditionary Forces. The Canadians and British would use these during the 1942 Dieppe Raid through the Armistice in 1945. The Canadians weren’t particular who they supplied their new pistols to, as long as they were fighting the Axis powers. They eventually supplied the Soviet partisans, the free French, the Polish resistance, the free Polish Armed Forces, the free Chinese Forces, and many other groups with their new 9mm pistols. 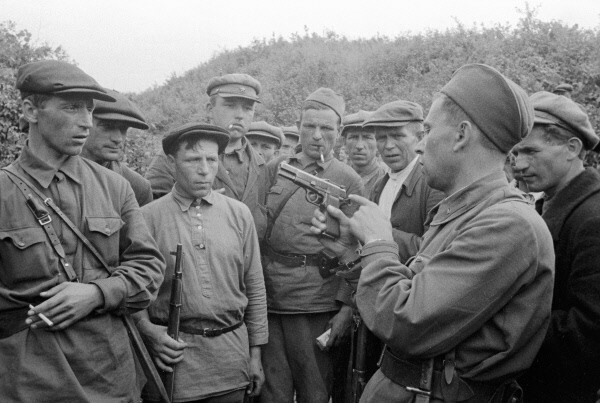 Soviet soldier showing Soviet partisans how to use the P-35. Photo courtesy of twcenter.net. It wasn’t the final time two opposing sides in an armed conflict would both go to war with the High Power. During the Falklands War between Argentina and the United Kingdom, both sides’ standard-issue pistol was the P35. In the last 70+ years, the Browning Hi Power has also been worn on the hip of some of the world’s most notorious leaders and nefarious dictators. Saddam Hussein, Muammar Gaddafi, and Idi Amin were all fans of the Hi Power, oftentimes photographed holding them. On May 13, 1981, Mehmet Ali Agca used a Browning Hi Power in his attempted assassination of Catholic Pope John Paul II. MSRP: $300-900 Depending on years of production and condition. With new models, expect to pay $900 or more. Cons: They sometimes come with crude sights. Some people will not appreciate that it’s a single-action auto. 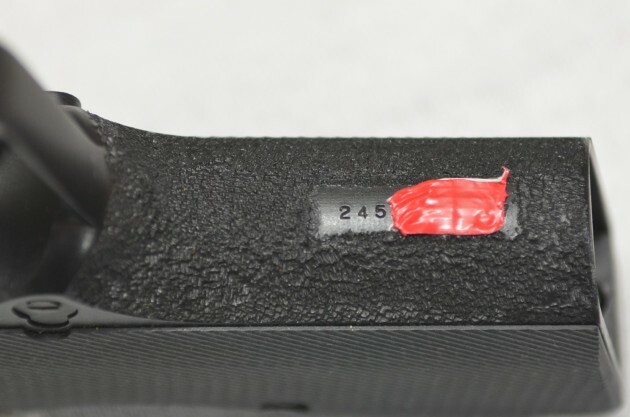 The magazine safety prevents firing or lowering the hammer without a magazine inserted, which can be a pain. Pre-1962 models featured an internal extractor, which are hard to find replacements for and can become brittle as they age. Overall performance: The Browning Hi Power is a work horse, plain and simple. When it was first made in 1935, it was revolutionary, yet simple, and was put through serious combat tests from its early days. If you get a Browning Hi Power used, do your homework and get one made after 1962 that features an external extractor. If you keep an eye out, you can find good deals on Israeli Defense Force trade-ins and police-issued pistols. These make a great base gun to build off of if you want to build an affordable custom pistol. There are several big-name gunsmiths that can perform affordable customization packages on the Browning Hi Power. Common modifications include: smoothing and lightening the trigger, checking or stippling the front strap, and changing sights. Robar Guns, 10 Ring Precision, Cylinder and Slide, Novak, and The Action Works are just a few of the better gunsmiths that deal with the High Power. The difference a few small upgrades can make is amazing with this pistol; it’s not a bad pistol in stock form at all, but you can make a good gun even better. I own a Browning Hi Power that began its life as a 1986 Israeli Defense Force trade-in, and it wasn’t in the best shape when I got it. Knowing that it was a project pistol, I had already ordered a few parts from Brownells so I could shoot before shipping it off to Alex Hamilton at 10 Ring Precision of San Antonio, Texas. When I received my pistol, it had a spur-style hammer and a lanyard stud in the grip. It was scratched up and looked like it had been bounced off of rocks more than once. You can see below: It was plain jane for sure. Set trigger at 4.5 lbs. As I mentioned before, if you want an interesting gun that has some history behind it, check around for a used Browning Hi Power. There are dozens of variations on the market and part of the fun with vintage military arms is finding out the history behind the weapon. If you know what you are looking for, you can really get some interesting pieces. If you have any Browning Hi Power questions or stories, please take a second to share them with us. Rick Dembroski I spent 10 of the best years of my life as a USAF Civil Engineer, traveling the globe, drinking beer, and causing chaos. My superiors dubbed me "King of Useless Knowledge" a title that I still love to this day. I separated in 2002 as a SSgt (E5- in the USAF), and chose to stay in the frozen north of Alaska, currently I work as an Emergency Management Specialist where I combine my love of chaos and preparedness to ensure people know how to survive disasters.